Cafeteria, two bars, and three lounges with live entertainment. Ski shop at area. Boutique, drug store, specialty retailers, cleaners, and bank nearby. First aid at base; hospital, seven miles. Jiminy Cricket Kid's Ski School offered weekends and holidays. Ski rental and repairs at slope. 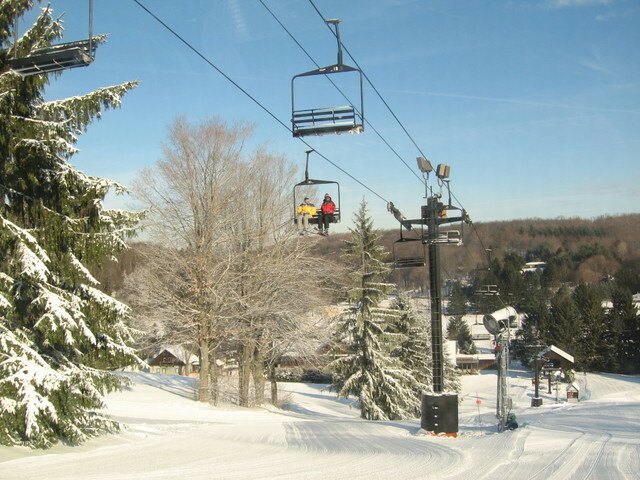 Ski classes in freestyle and advanced techniques; also offering classes for groups and private skiers. Get Snow Reports, Powder Alerts & Powder Forecasts from Snow Trails straight to your inbox!